It’s a fact of life: pipes in plumbing / sewer systems get clogged. For this reason, cleanouts exist. A cleanout is an access point that allows a system to be cleaned out without completely disassembling it or an individual fixture. 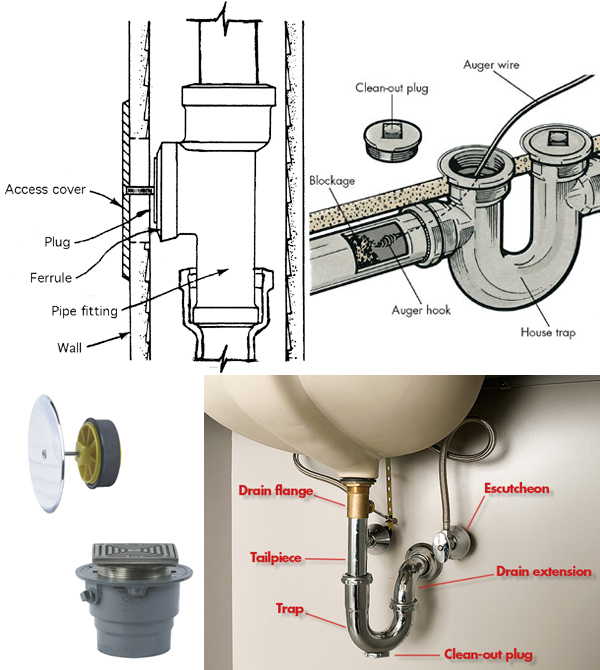 Whether located in a floor, on a wall, or on an exposed pipe, the opening is covered by a door, plate or cap.